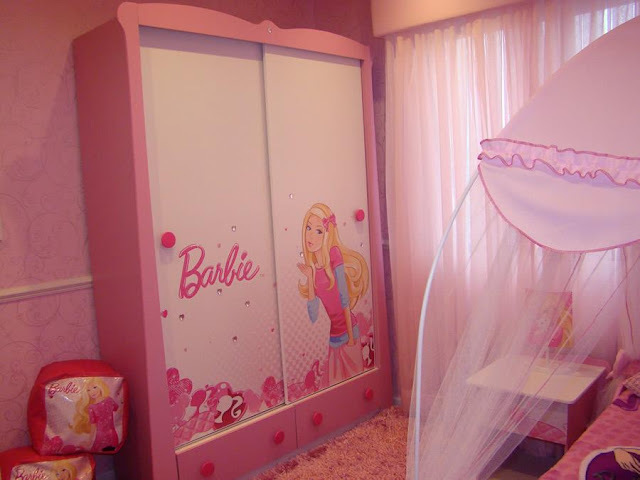 ¿Cómo decorar un dormitorio con motivos de barbie? Si a tu hija le gustan los dormitorios de barbie seguramente le encanta el rosado y quiere tener esta famosa muñeca por toda su habitación. Si no sabes cómo ingeniártelas para que la decoración de la recámara de tu pequeña sea toda de barbie, sin verse muy sobrecargada, mira aqui videos y fotos que te darán muchas ideas y que de seguro serán del agrado de tus engreídas. Este último video muestra tambien recámaras que usan el color rosado de barbie, pero con alternativas y combinaciones de colores diferentes. 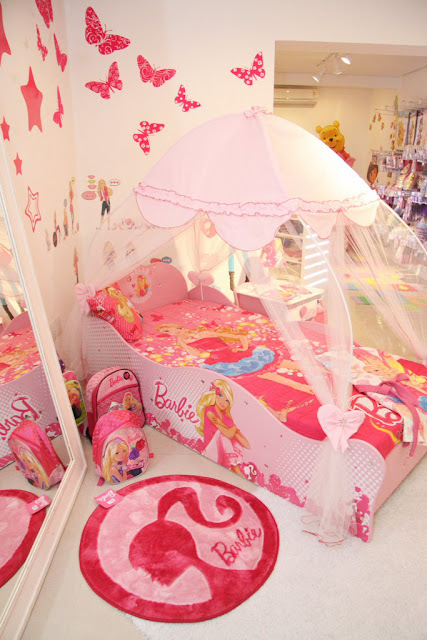 Most girls love to have Barbie as a bedroom theme, they fantasize having their bedroom designed like a giant Barbie doll house! 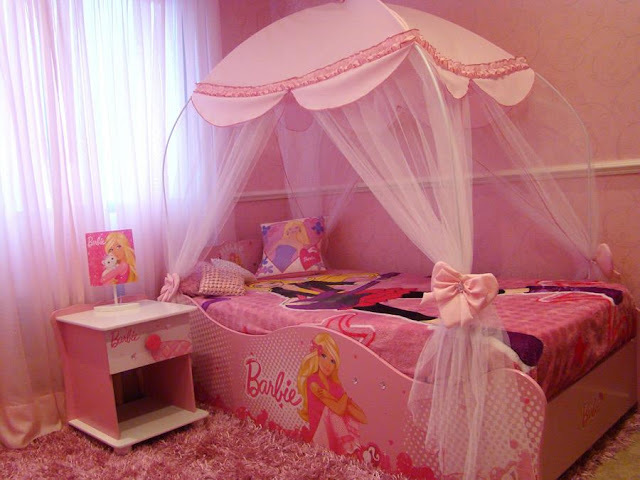 So if your girl is a Barbie fan then you're about to make her thrilled by picking this theme. 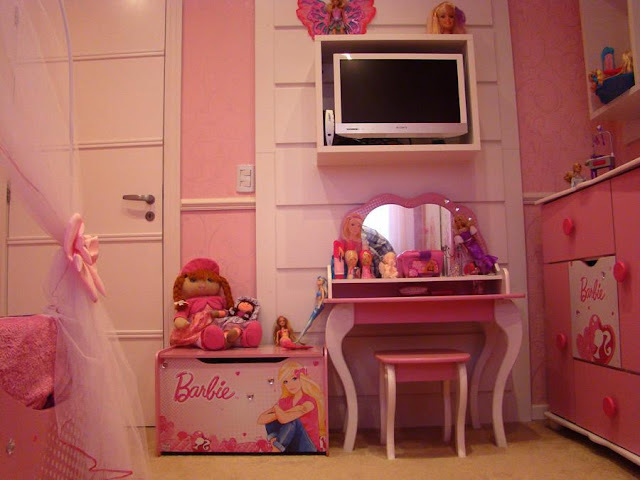 Barbie is a girlie theme, so we're going to use girlie colors and accessories for this room. 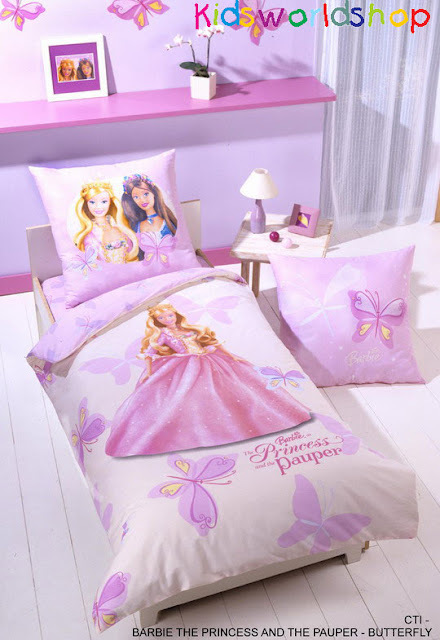 The most common colors used in Barbie's doll house are pink, purple, and white, so we're going to decor this bedroom around those colors. First of all, the walls. 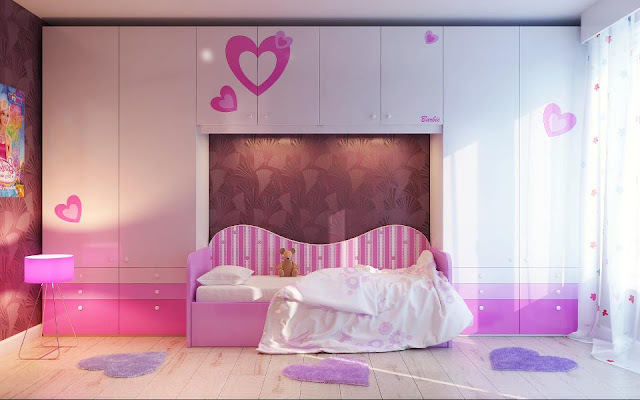 Measure up to around 1.1 meters from the floor and make a wall border along this Barbie bedroom walls. Paint lower area of the wall White, and paint the upper Soft Pink or Purple. Remember to do a proper interior painting preparation before you start painting to get the best result. Look for Barbie wallpaper border and use it to cover the border line after the paint dries. Doesn't feel like painting? 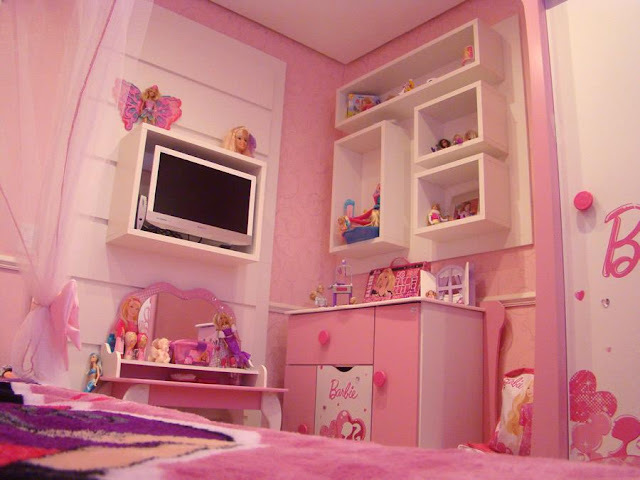 You can also use Barbie wallpaper to cover this bedroom's walls. Or if you can't find the right one then any girlie wallpaper will do, for example you can pick Pink or Purple wallpaper with small flower prints on it, or Pink and White vertical striped wallpaper. Just remember to keep it simple and girlie. Barbie stick-up murals and wall decals also make a nice alternative. They're beutiful, not expensive, easy to apply, and doesn't waste much of your precious time.